Elizabeth Woolridge Grant (born 21 June 1985), better known as Lana Del Rey, is a singer-songwriter and producer from Lake Placid, New York, United States. Del Rey is known for embellishing her songs and music videos with an eerily nostalgic vibe heavy on Americana themes, including images of surfing, Coney Island, Frank Sinatra, and Marilyn Monroe. She has also listed a large number of her artistic influences, including Allen Ginsberg, Elvis Presley, Britney Spears, Nina Simone, Nirvana, Leonard Cohen, Bob Dylan, The Beach Boys, Antony and the Johnsons, actor and filmmaker John Waters, artists Mark Ryden and Marilyn Minter, and photographers Juergen Teller and Philip-Lorca diCorcia. Sirens (as pseudonym of May Jailer) (2006) "Sirens" is an unpublished album by American singer-songwriter Lana Del Rey, under the pseudonym May Jailer. Recorded in 2005, its release took place unofficially, after being cast on YouTube in May 2012. Kill Kill (EP) (2008) "Kill Kill" is the first extended play (EP) of American singer-songwriter Lana Del Rey. Released on October 21, 2008, through 5 Points Records, while Del Rey used the stage name Lizzy Grant. The EP contains three tracks, all of which were included in their debut album titled, Lana Del Ray A.K.A. Lizzy Grant (2010). Yayo was re-recorded and included in the singer's third EP, Paradise (2012). "Kill Kill" was the EP's only single. A video for the track was published in 2008. Lana Del Ray A.K.A. Lizzy Grant (2010) "Lana Del Ray a.k.a. Lizzy Grant" is the first album by American singer Lana Del Rey. The album was only released as a digital download on January 4, 2010 under the name Lizzy Grant by the independent record company 5 Points Records. The album was digitally released through iTunes, which was sold briefly before being removed after the publisher could no longer promote the album. 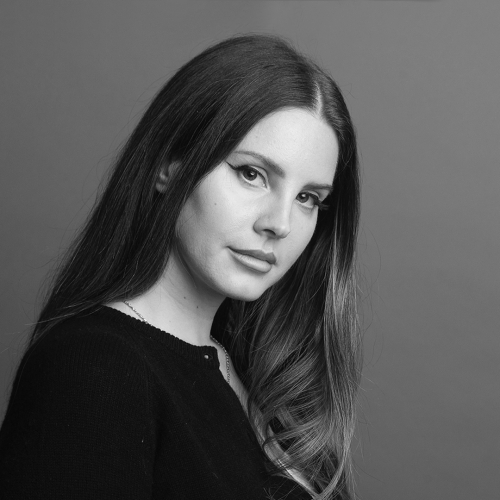 After releasing Born to Die (2012) under the stage name Lana Del Rey, she spoke in an interview that, in short, would like to relaunch the album. Lana Del Rey (EP) (2012) "Lana Del Rey EP" is the second extended play (EP) of the singer and American writer Lana Del Rey. It was released on January 10, 2012 in the United States by Stranger Records and Interscope Records. The EP has four tracks and was released to anticipate the debut of Lana Del Rey on a major label. Musically, it is an indie pop work, influenced by several genres like baroque pop and alternative hip-hop, while its lyrical content is mostly about love. Born to Die (2012) In June 2011, Del Rey was signed with Stranger Records and issued the “Video Games” single. In October 2011 she signed with Interscope Records. Her next album, "Born to Die", was released worldwide on 31 January 2012 under Interscope. The second single and title track, "Born to Die," was released on January 27, 2012. Ultraviolence (2014) "Ultraviolence" was released on June 13, 2014. The album was produced by Dan Auerbach (from The Black Keys). Honeymoon (2015) "Honeymoon" is the fourth studio album by Del Rey, released on Sept 18, 2015 on the UMG. It was produced by Del Rey together with Rick Nowels and Kieron Menzies. Lust for Life (2017) Early in 2017, Del Rey released her first single since 2015, called “Love”. The track was produced by Del Rey, Rick Nowels, Benny Blanco, Emile Haynie and Kieron Menzies. The album, Lust for Life, released on 21 July 2017.